The unmistakable Old Town of Dubrovnik can be viewed from land, from above, and from the sea, and I was fortunate enough to enjoy each of them. My first glimpse of the Old Town came from a window on the bus I was taking from the airport, when I instantly fell in love with this city. I obtained the second great vantage point from atop the walls high above the Old Town. My third vista came from aboard a ferry in the Adriatic Sea, a mode of transportation I chose to escape the stifling cruise-ship crowds along Stradun, the main street in Dubrovnik. 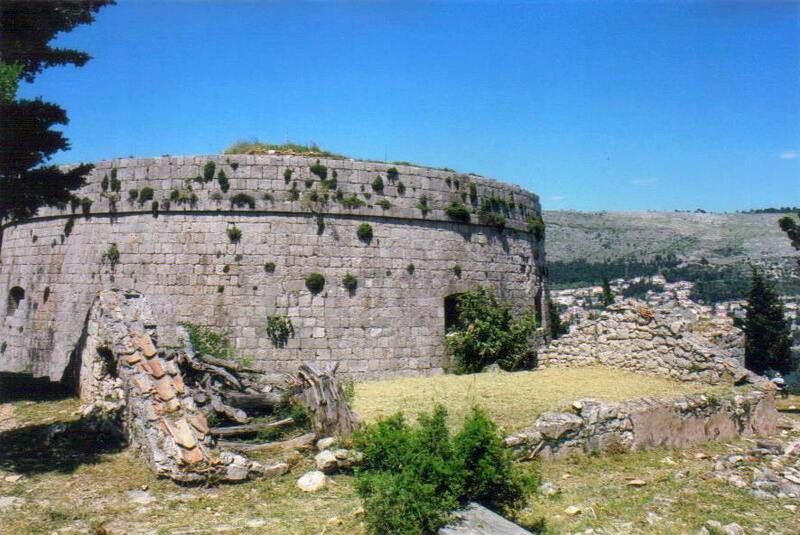 Built on Lokrum’s highest point, Fort Royal holds a commanding position. From the stern of the boat, Dubrovnik grew smaller yet more spectacular as its cream-colored buildings and beautiful orange tile roofs contrasted brilliantly against the sea’s uncanny blue. During the 15-minute cruise to the island of Lokrum, I sailed by the 17th-century quarantine, built on the mainland outside the City Wall, where all traders and passengers arriving in caravans had to spend a mandatory and whopping 40-day quarantine period to prevent the spread of disease. Fortunately, no such lengthy detention exists today, and as soon as I disembarked from the ferry, I was immediately at leisure to roam around this little sanctuary with nary another person. Lokrum takes its name from the Latin acrumen (sour fruit), a reference to the local oranges and lemons. 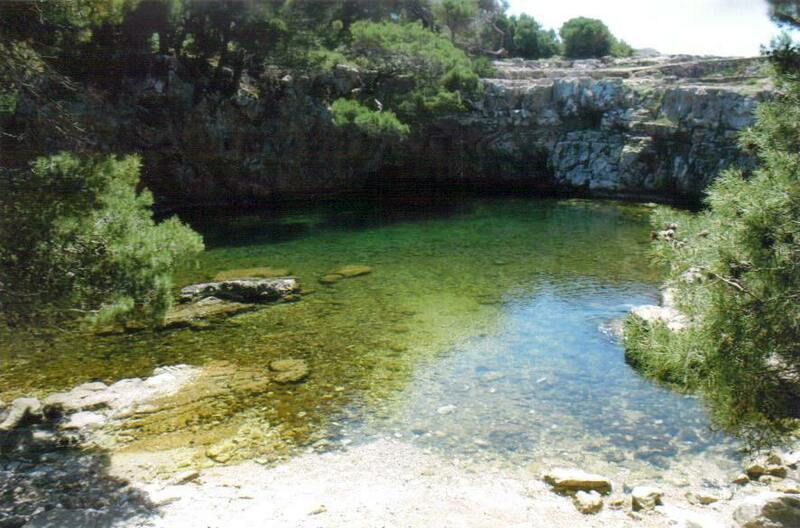 According to legend, Richard the Lionheart was shipwrecked here in 1192 on his way back from the Crusades. In gratitude for his safe survival, he vowed to build a church on the spot where he came ashore, but the citizens of Dubrovnik persuaded him to redirect his wishes and funding for a cathedral in town instead. Today, the island is a special reserve of forest vegetation, protected by UNESCO and dotted with historic buildings, some in a ruinous state. This lush oasis is a direct contrast to Dubrovnik—covered in trees, uncrowded, no hotels or overnight stays allowed, no shops, and just one restaurant and a café kiosk. At less than two miles long and only a third of a mile wide, Lokrum’s size makes it easy to explore at a leisurely pace and still see it all. I made my way north to the remains of the Lazaret, a quarantine hospital begun in 1534 and halted in 1557 before it was finished. Just a stone’s throw away, I clambered up to Fort Royal, a castle built by the French in 1806 and completed in 1833 during Austrian administration. Constructed on Lokrum’s highest point — 315 feet above sea level — the circular fort boasts unrivaled views of the rest of the island, the Adriatic Sea, and Dubrovnik and the Croatian coastline. The so-called Dead Sea offers an idyllic and virtually silent inland oasis. From there, I proceeded down the Celestian Way, a peaceful walking path flanked by pine and cypress trees. I veered off to the west to explore the remains of the monastery complex. The Benedictines founded an abbey and monastery in 1023 and remained here for centuries. An earthquake in 1667 badly damaged the buildings, and the monastery was deserted by 1798. The monks held on for another decade until abandoning the island in 1808. Local lore says that on their last night, the resentful monks, rankled by their expulsion by the French, put a curse on the island and anyone who tried to seek it for their own in the future. Improbable…or not? Archduchess Charlotte of Austria purchased the island and retained ownership with her husband, Maximilian, the brother of Austrian Emperor Franz Joseph I and the man who ultimately became emperor of Mexico in one of history’s more bizarre political machinations. They converted the monastery into their summer residence and built an additional mansion in 1859. Ultimately, the monks just may have been vindicated: Maximilian was executed by firing squad in 1867, Charlotte was declared insane shortly after, Maximilian’s nephew Rudolf committed suicide in 1889, and his sister-in-law Elisabeth was assassinated in 1898. Skirting around the coast, I stumbled upon wonderful limestone and dolomite formations and small, welcoming, and virtually empty beaches. Turning back inland, I came across the so-called Dead Sea, a small salt lake perfect for a quick dip in the warm, still water. Peacocks and peahens have been residents of the island for almost two centuries. 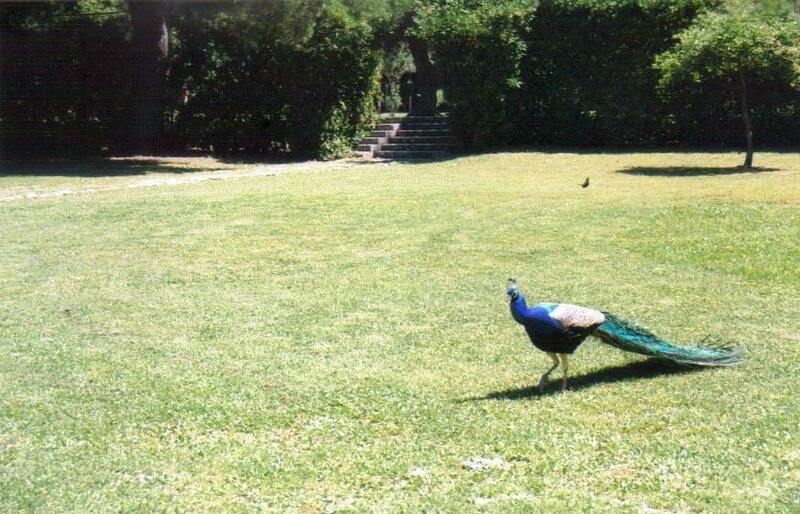 Lots of peahens and just a couple of very lucky peacocks — all descendants of the birds that Maximilian brought over from the Canary Islands — roamed freely around me as I headed toward the great olive grove, where some of the trees have already celebrated their 300th birthday. The aroma of rosemary filled the air. I made my last stop at the small botanical garden, founded in 1959 in order to study the adaptation of exotic plants to Lokrum’s perfect climate. Although it suffered damaging bombardment following Yugoslavia’s collapse, the garden today contains about 800 native and imported tropical and subtropical plants from Australia and South America. By the time I had knocked about the entire island and was returning to the Old Town, I saw full tenders beginning to return passengers to their cruise ships. None of them had ventured over to Lokrum, making this island a perfect getaway from densely packed Dubrovnik and assuring you of a memorable experience.